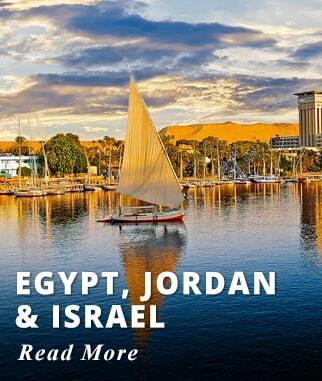 Embark on a journey through the Land of the Pharaohs and discover Egypt's fascinating Ancient History. 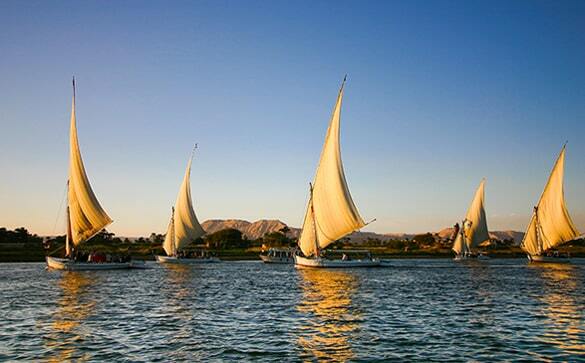 Sail the Nile aboard a comfortable River Cruise Ship, featuring panoramic windows and all meals onboard. 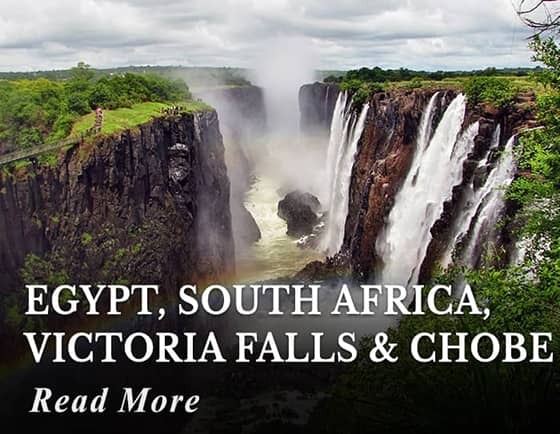 We include offshore Nile Excursions to visit Egypt's famous antiquities such as the famous Valley of the Kings, Luxor, Karnak, and Philae Temple. 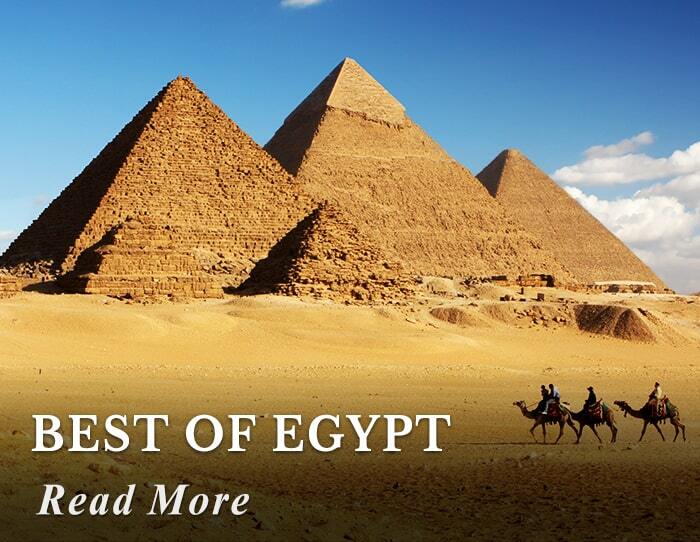 In Cairo visit the Amazing Grand Pyramids of Cairo, The Open Air Museum in Memphis, and the Step Pyramid of Sakkara. 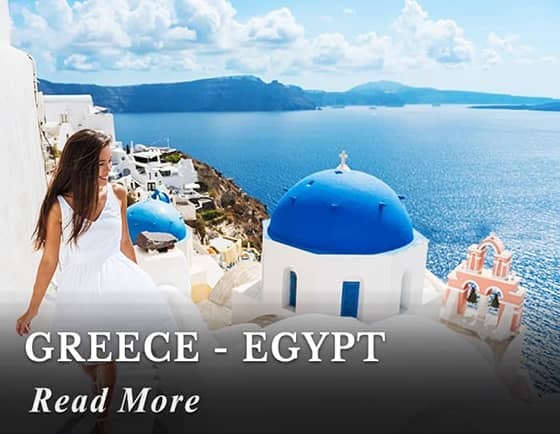 Our packages include all International and domestic flights, entrance fees, all transfers and all taxes they are no hidden costs. 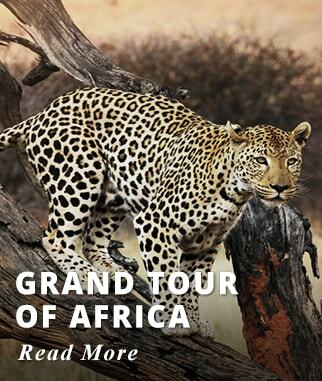 Tours involve Small Guided Groups. Departures are 100% guaranteed. 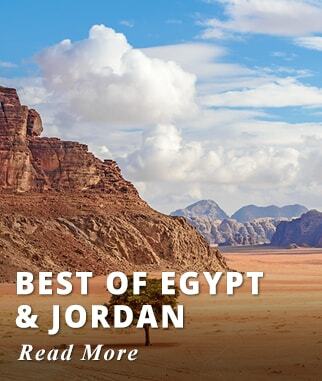 We include offshore Nile Excursions to visit Egypt's famous antiquities + More. This Price is valid for Weekly Monday departures through 2019 and 2020. 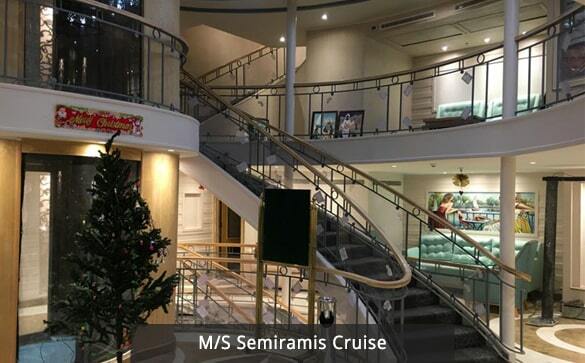 Prices are higher for departures during Christmas/New Year, Easter, and Summer Departures (May 1 to September 3). 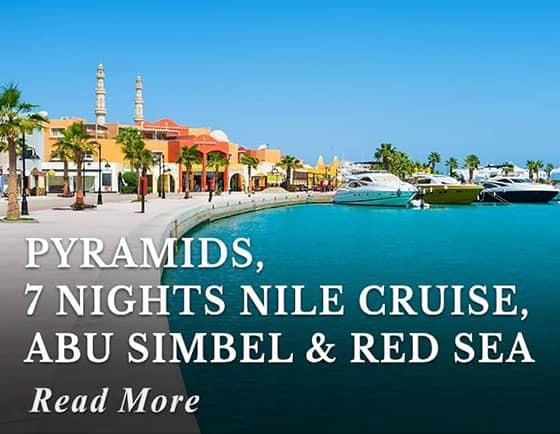 Lunch and Dinner Daily in Cairo - Extra Night in Cairo - Old Cairo City Tour - Abu Simbel Excursion - Free Drinks Package aboard your Nile Cruise. 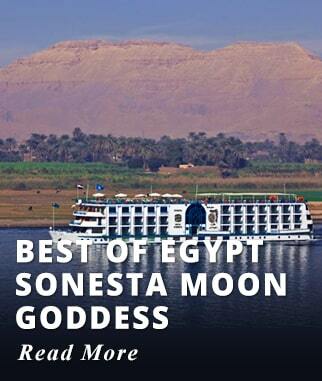 Upgrade to the Nile Goddess, Sonesta Moon Goddess or Sonesta Star Goddess. 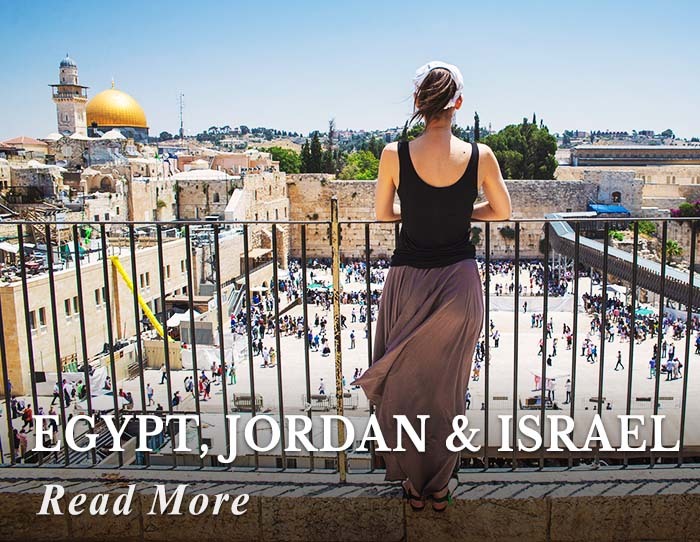 Board your international flight to Cairo; we offer departures from any major city in Canada or the USA. You need a valid Canadian or American passport with at least six to eight consecutive sides by blank side pages. If there is insufficient space in the passport, you will be denied boarding. Your passport should expire six months after your intended return date; Even a day difference will deny you boarding. Children travelling with one parent, or another person/s, or where parent/s are deceased, must be in possession of an affidavit from the remaining parent/s or guardian permitting the child to travel. 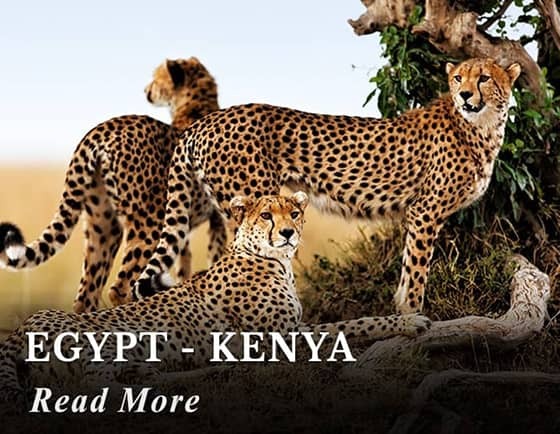 Upon landing in Egypt, purchase your visa by filling out an application form provided at the airport and submit it with the required fee; Visa is to paid in USD cash per person. They will stamp your passport, and then you may proceed to clear customs and immigration. 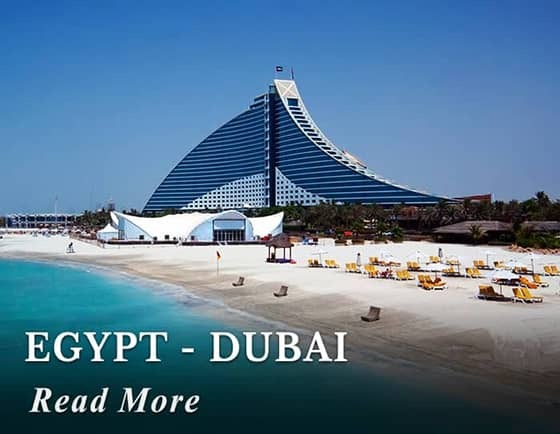 Our Representative will assist you with the Visa and with transfer to your Hotel. 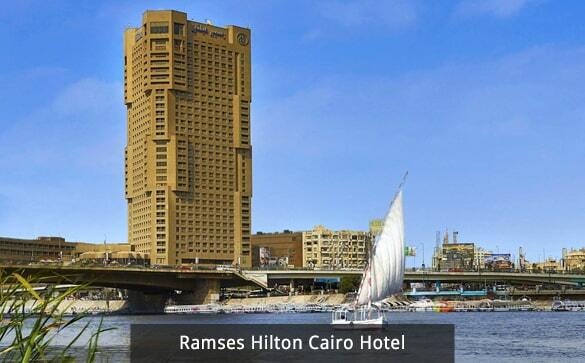 Accommodation: Le Meridien Pyramids Hotel, Ramses Hilton, Hilton Zamalek, or Similar. 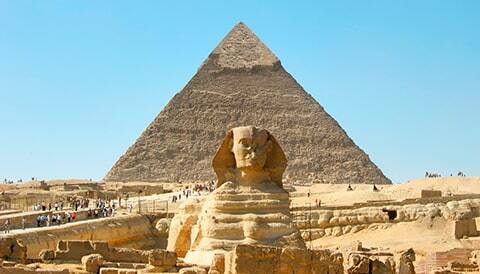 The Grand Pyramids of Cairo & Sphinx, located 10 miles south of Central Cairo just at the edge of metropolitan Cairo. 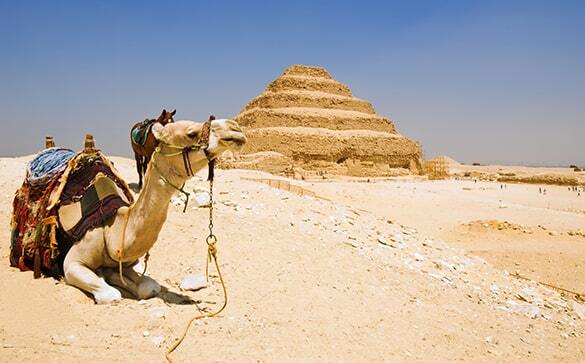 Khufu, (also known as Cheops) is the oldest and largest of the three Great Pyramids, thought to be over 4,000 years old. Khafre (Chepren) is the only one with an original stone cap at the top and Menkaura (Mycerinus) is the smallest. Entrance to the Pyramids can be arranged at an extra cost though this may not appeal to everyone. 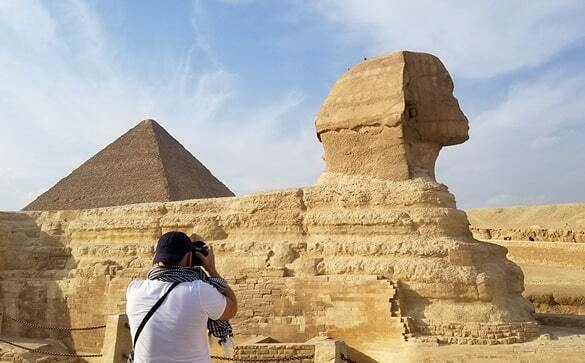 At the foot of the Great Pyramid you will find the mysterious Sphinx carved almost entirely from one piece of limestone, one of the most photographed ancient monuments in the world. 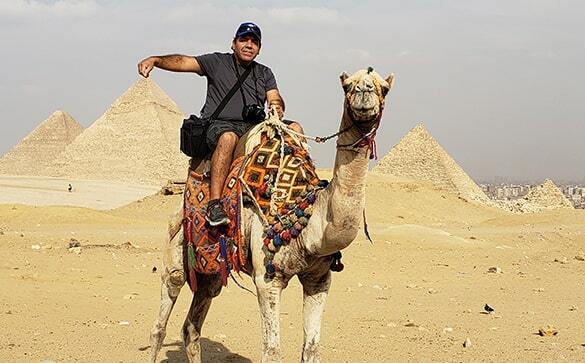 Without a doubt your visit to the Great Pyramids of Giza will be one of the most memorable of your trip. 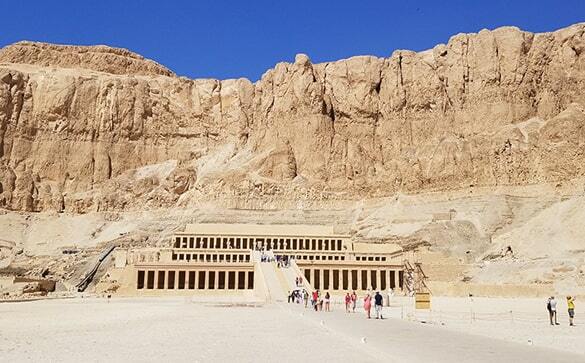 Continue your tour with a visit to Sakkara here you will find The Step Pyramid considered the first and oldest of all the ones built in Egypt. King Djoser constructed this Pyramid and designed by the architect Imhotep. Visit Memphis, originally a great City with many exceptional Temples, founded around 3,100 BC. Unfortunately, there is not much left of the City today. 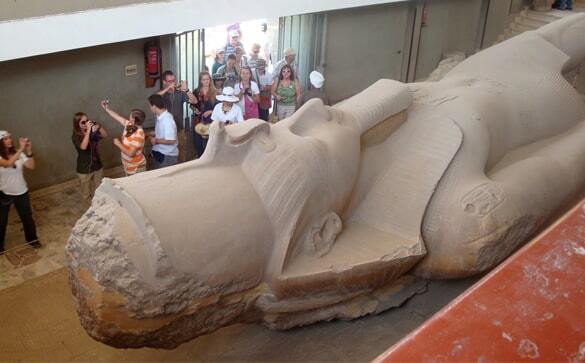 People come here to visit the enormous statue of Ramses' II. 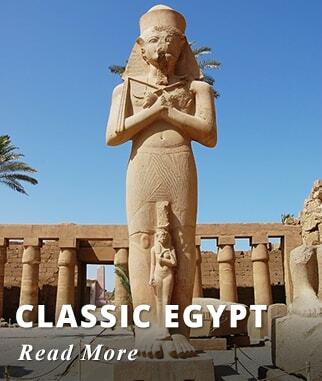 The Colossus of Ramses' is about 33.8 ft long; You find the Colossus in a small Museum built specially for this massive statue. 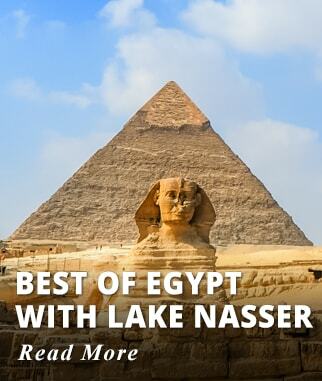 Activities included today: Guided visits to the Grand Pyramids of Cairo & Sphinx and Memphis - Sakkara. 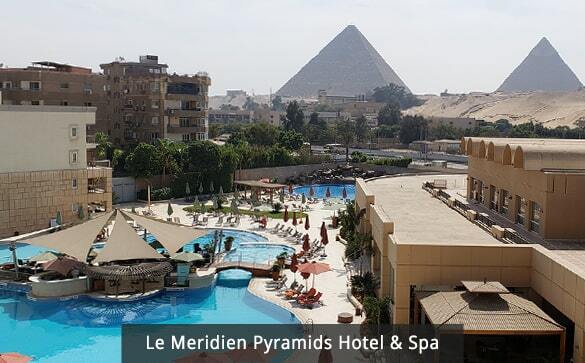 Breakfast at your Hotel, transfer to Cairo Airport for your flight to Luxor. 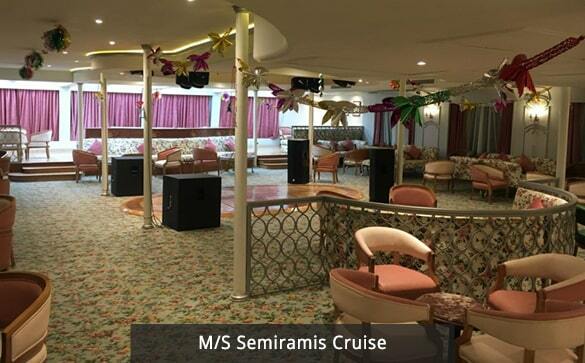 Upon arrival, our representative will transfer you to board your Nile River Cruise, MS Semiramis. Aboard your River Cruise, all meals are included but not drinks. Bottled water, coffee/tea, and other beverages are available at an extra cost. 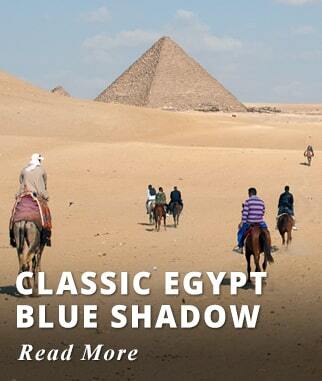 A licensed English speaking Egyptologist guides all our shore excursions. 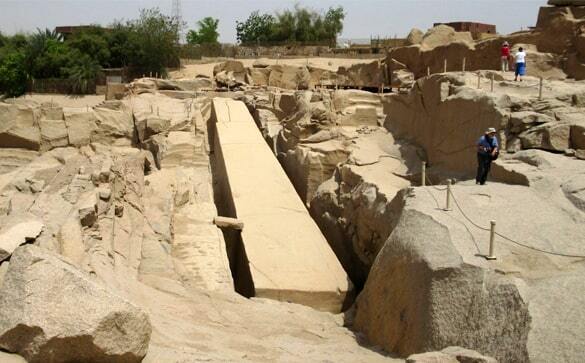 Today enjoy visits to Luxor and Karnak Temples. 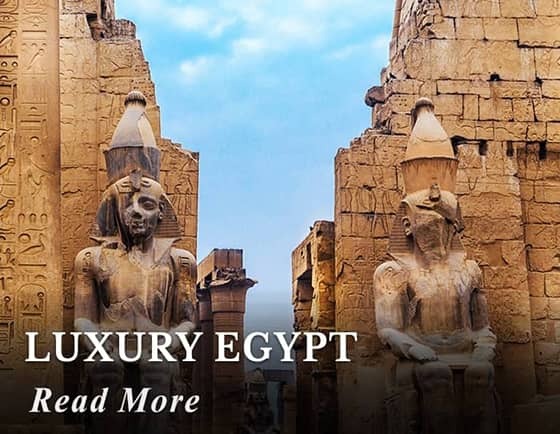 Luxor Temple: A magnificent example of Egyptian temple architecture, along with Karnak Temple this was one of the most sacred and important Temples of Ancient Thebes (now Luxor City). 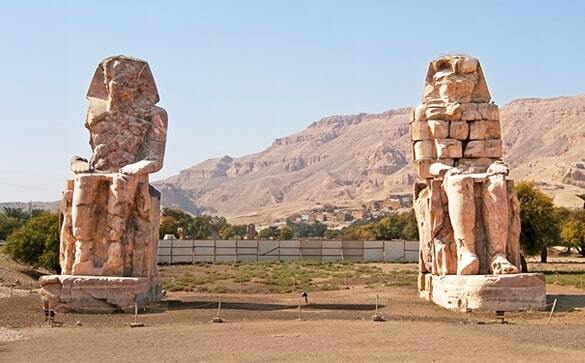 Built parallel to the River Nile, this temple and dedicated to Amun Ra, King of Gods and his wife Mut (Goddess of War). 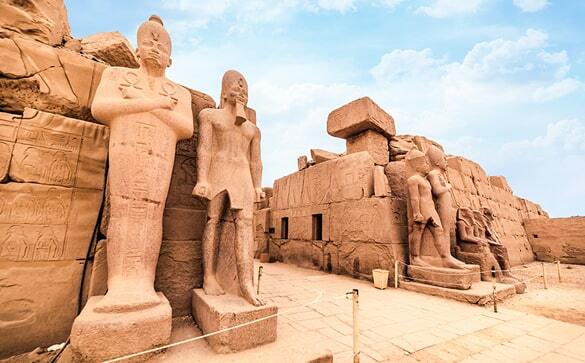 At Luxor, you will find Colossal Statues of Rameses, and massive 24 meter tall carved pylons. One of the two Obelisks that once stood at the entrance of Luxor Temple remains, the other was removed and transported to France in 1874 and now sits at the Place de la Concorde in Paris. 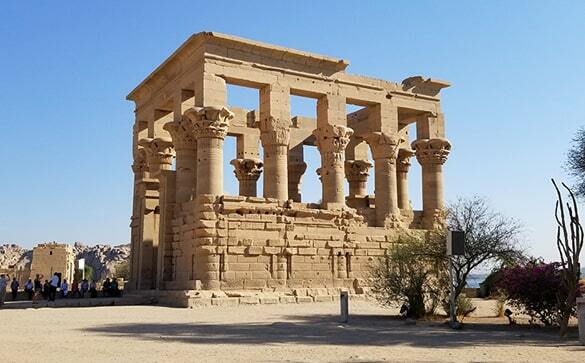 Another site worth mentioning is the Mosque of Abu El Hagag built on top of the buried ruins of Luxor Temple; after the Temple was uncovered the Mosque was preserved and is still a place of worship until today. 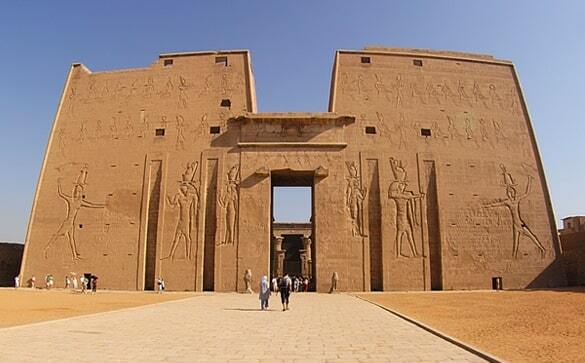 Karnak Temple: Located on the East bank this is the largest temple complex in Egypt. 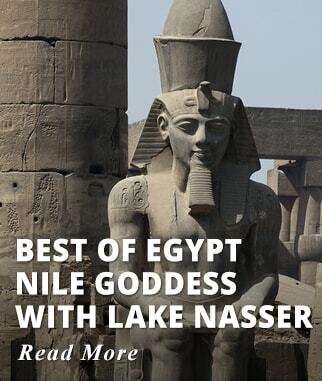 Built throughout 1300 years to honor the god Amun of Thebes, his wife Mut, and Sons Khons. 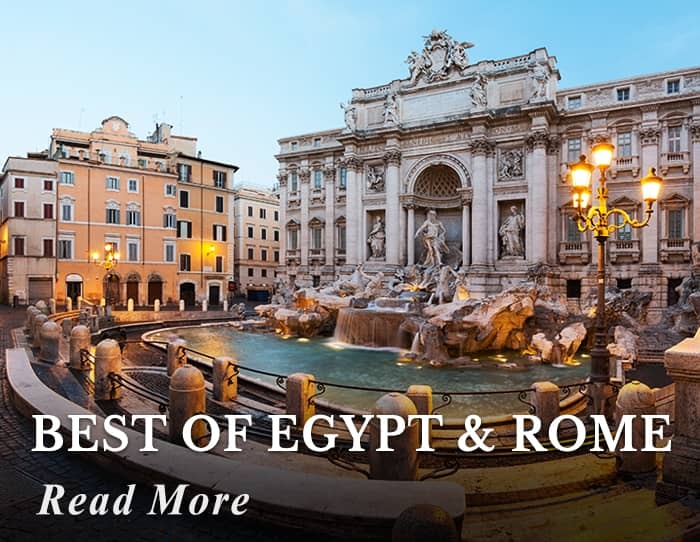 An impressive complex of over 25 Temples full of Sanctuaries, big columns, and Obelisks. At least thirty Pharaohs have been represented here over time. One of the highlights is the Hypostyle Hall with 134 enormous pillars, certainly an awe inspiring place. 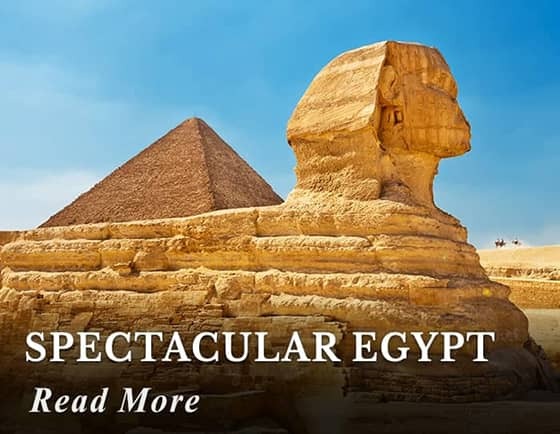 Stroll down the famous avenue of the Sphinxes, with a length of two miles it was once lined with hundreds of sphinxes. 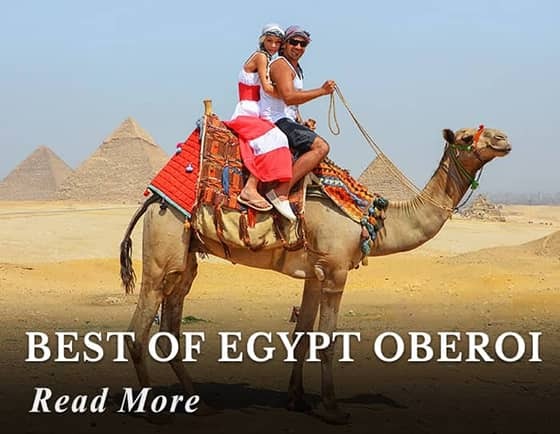 Ancient Egyptians traveled on a horse drawn carriage between Luxor and Karnak Temples during the festival of Opet, a celebration to reunite God Amun and his wife Mut since each of their statues were in separate Temples. 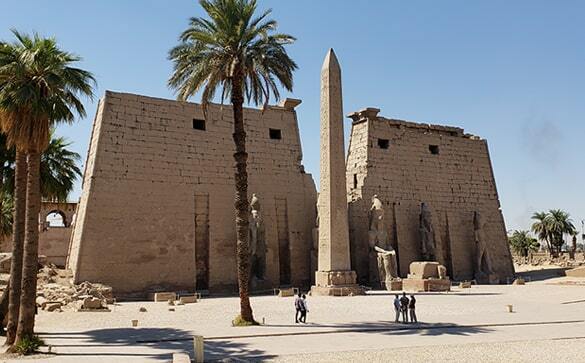 Activities included today: Guided Tour of Karnak Temple, and Luxor Temple Complex. 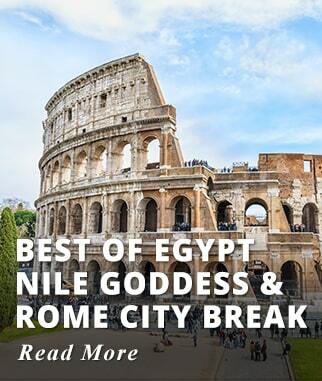 Overlooking the Nile you will find the Temple of Kom Ombo in the town of the same name located 45 km north of Aswan. Built to honor the crocodile and Falcon Gods Sobek and Horus, dating from 180 BC it has beautifully carved columns, some of them still keep their original brilliant colors. 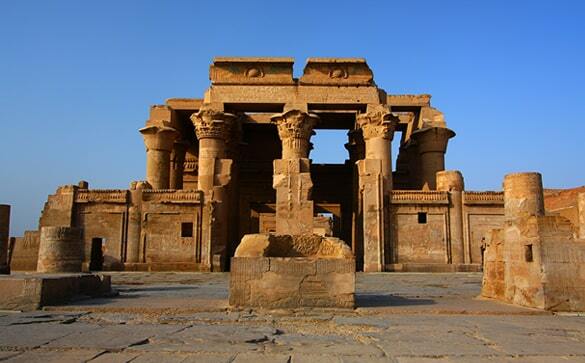 Activities included today: Guided Tour Edfu Temple, Guided Tour Komombo Temple. 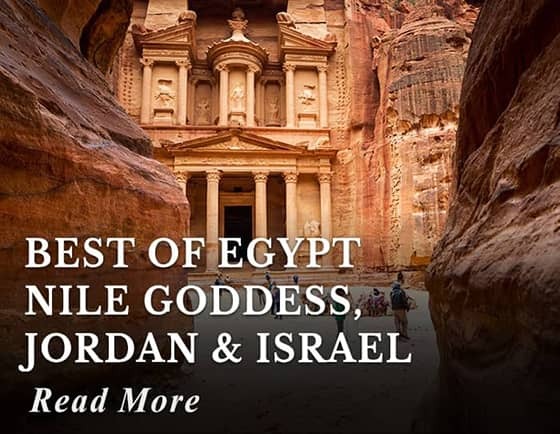 The construction of the High Dam created Lake Nasser, the world's biggest artificial body of water, the Lake Nasser area is very beautiful and pristine, and this is where the famous ruins of Abu Simbel are located. 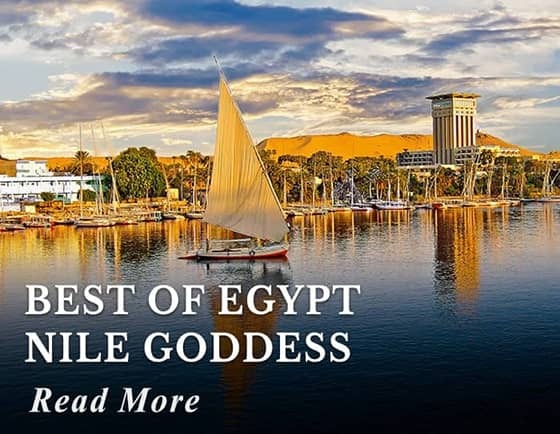 There are River Cruises that sail between Aswan and Abu Simbel visiting other ancient sites along the way, or you can visit the Abu Simbel Temple on a road excursion or by air. 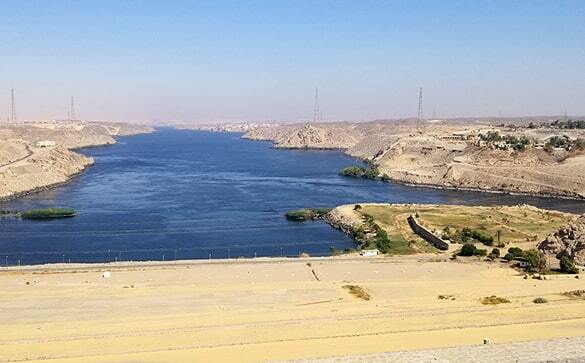 Activities included today: Guided Tour visiting Aswan's High Dam, Unfinished Obelisk, Visit Temple of Philae. 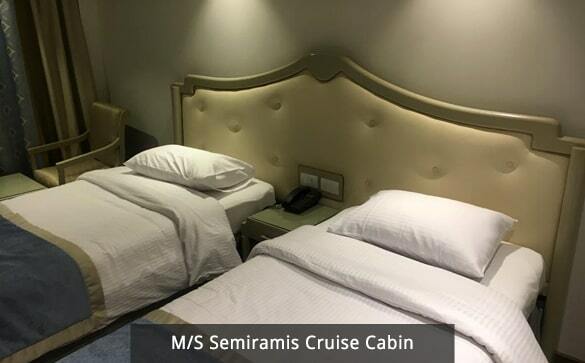 Enjoy a morning of leisure on board, or add an optional tour to your itinerary we suggest a tour to Abu Simbel, just three hours' drive from Aswan is one of the most well-known historical sites in Egypt after the Grand Pyramids and the Sphinx. 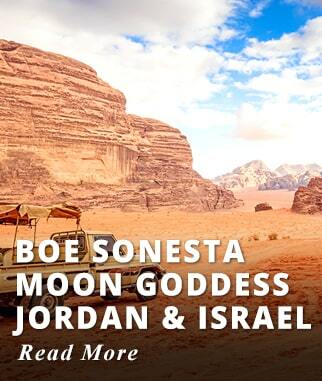 Abu Simbel: On the West bank of the Nile at the shores of Lake Nasser. 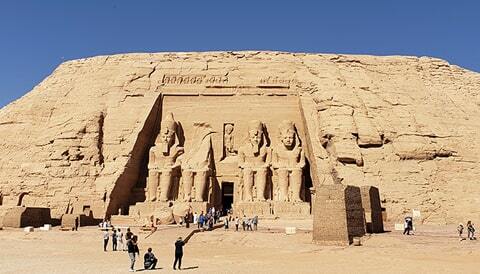 Abu Simbel was one of the Temples moved from its original sacred place in order to save it from flooding. 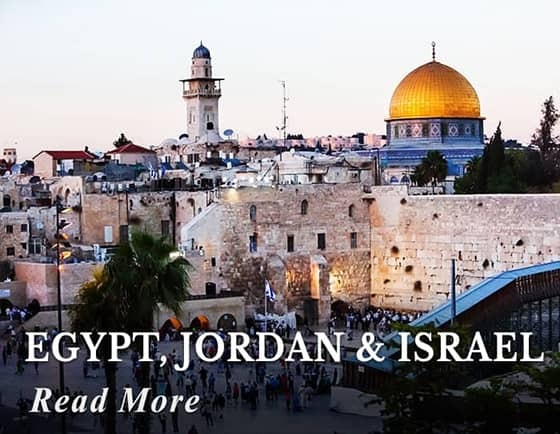 This project is considered one of the greatest achievements in modern engineering. 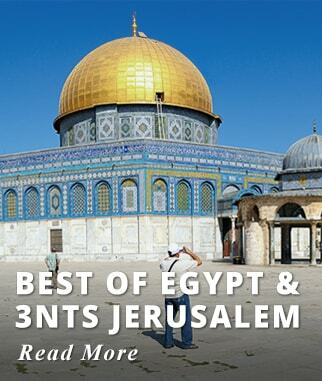 Fully guided by a licensed Egyptologist, includes boxed breakfast. Disembark. 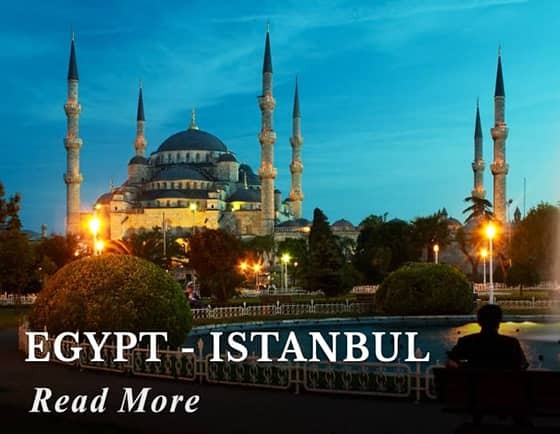 Our representative will transfer you and assist you with your flight back to Cairo. 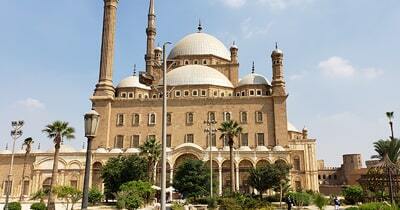 Upon arrival transfer to your Cairo Hotel assisted by our representative. 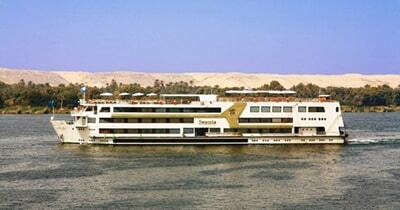 Activities included today: Disembark Cruise - FLIGHT Aswan - Cairo. 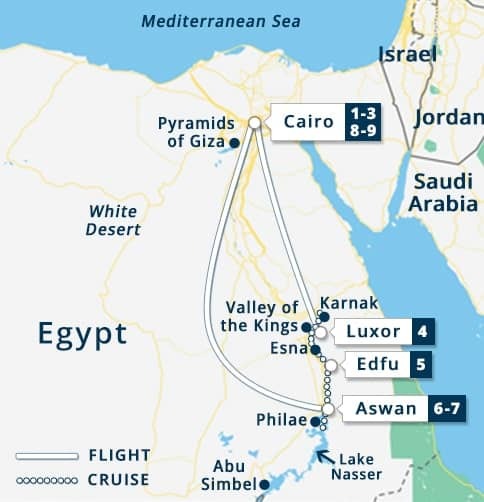 Domestic Flight Transfers Cairo - Luxor - Aswan – Cairo. 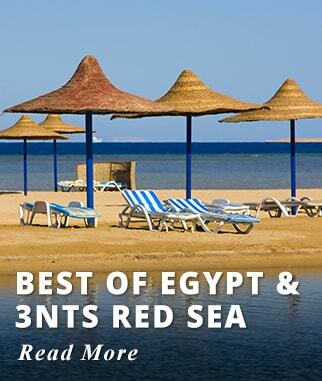 Three nights of accommodation at Le Meridien Pyramids Hotel, Ramses Hilton, Hilton Zamalek, or Similar. 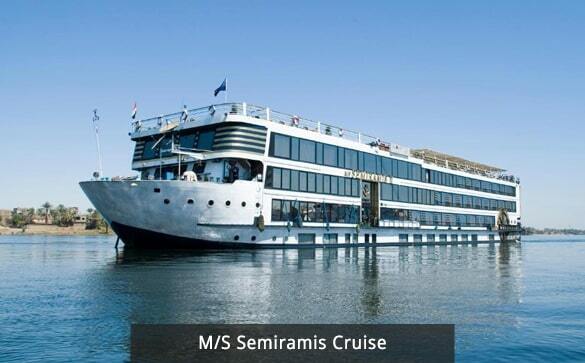 Four nights aboard the Semiramis Nile River Cruise. 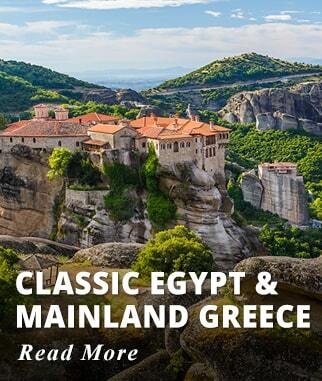 Visit the Grand Pyramids of Giza & Sphinx. 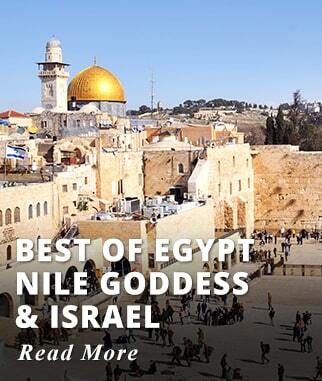 Visit Karnak Temple and Luxor Temples. 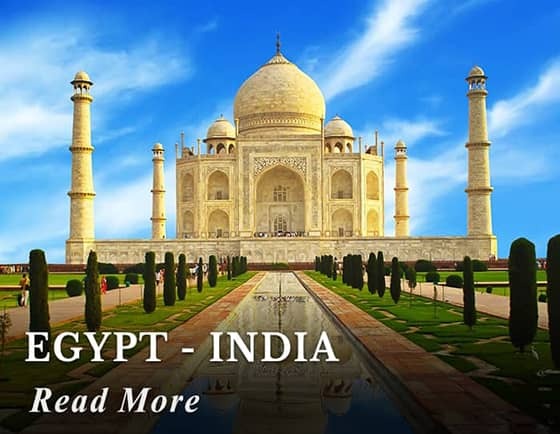 Visa fee on arrival at Cairo airport USD 25 Per Person.